Savvy Spending: Kellogg's Family Rewards: Holiday Sale starts 11/23! Kellogg's Family Rewards: Holiday Sale starts 11/23! Have you been entering in the FREE Kellogg's Codes I've been posting? 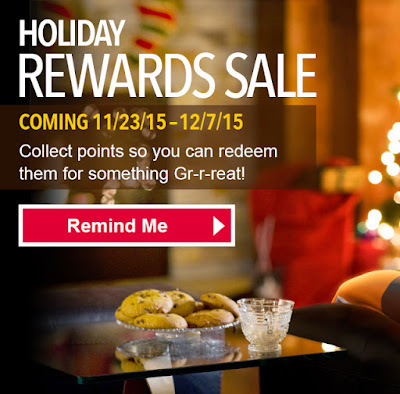 Kellogg's will have a REWARDS CATALOG SALE beginning on 11/23! From 11/23-12/7, Kellogg's, will have a sale on their Rewards that you can get for FREE using your free codes! And if you're not sure if these FREE rewards programs are worth your time, go HERE to read why I explain why I take the time to enter free codes in various rewards programs!